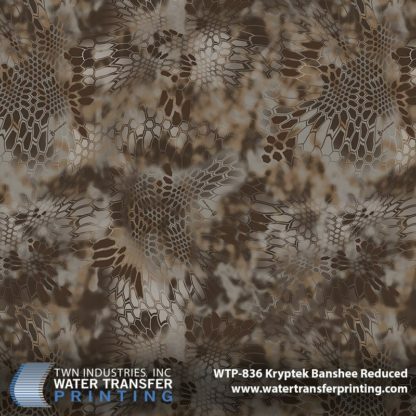 Kryptek® Banshee Reduced is made up of dark browns and hazy shadows. 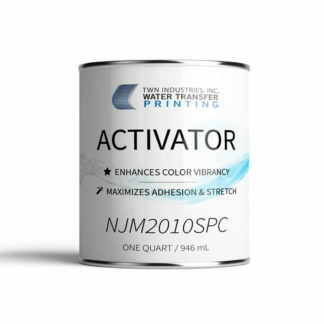 It has been tested extensively and has proven to be extremely effective in hardwood, tree-stand hunting applications during the fall/winter foliage cycle. 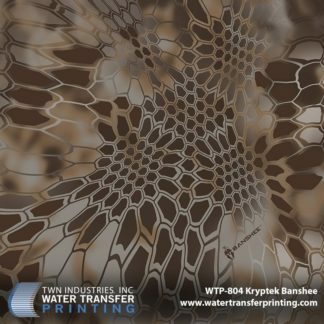 The film is 25% of the size of Kryptek® Banshee. 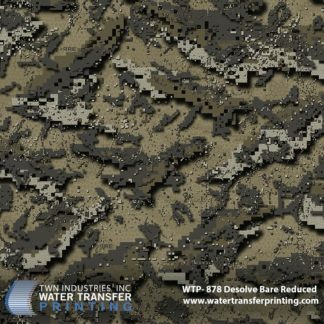 This reduced version will enable you to decorate smaller profile parts in greater detail like bows, optics, rifles, and more. 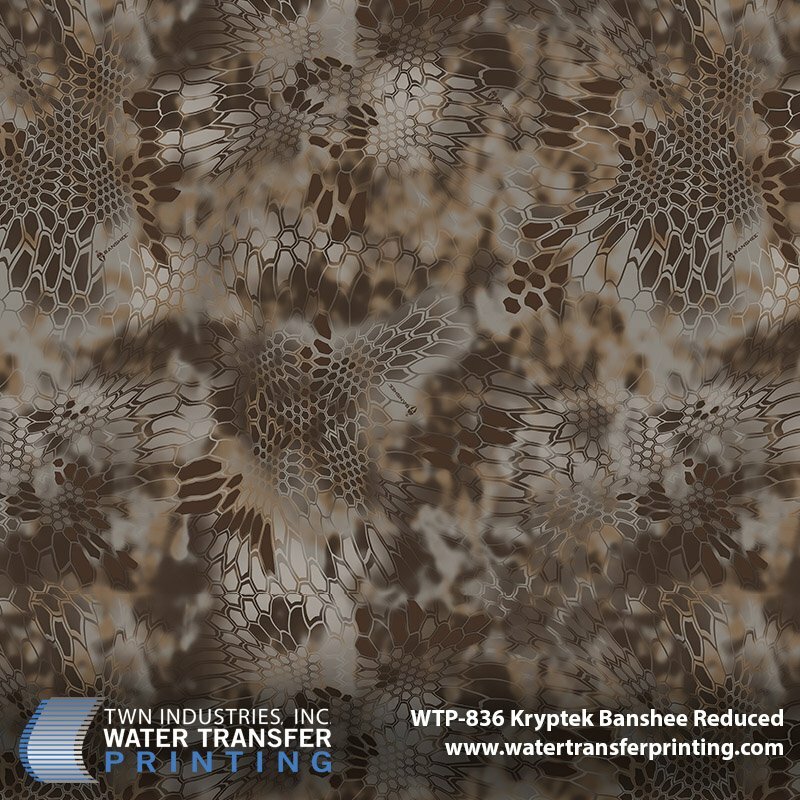 Kryptek® Banshee Reduced empowers users to strike with the confidence of a predator at one with their surroundings. 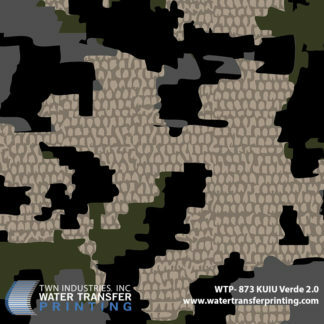 The pattern’s bi-level layering incorporates background transitional shading and sharp random geometrical foregrounds to create a three-dimensional effect that ensures the utmost in concealment at both close and long ranges. 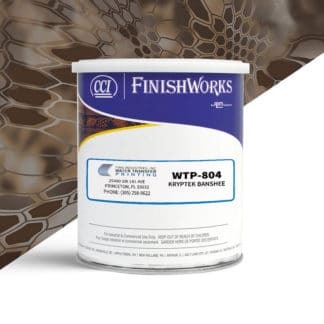 Looking to decorate large items? 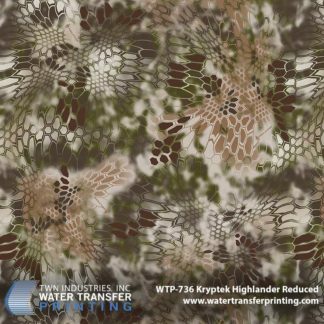 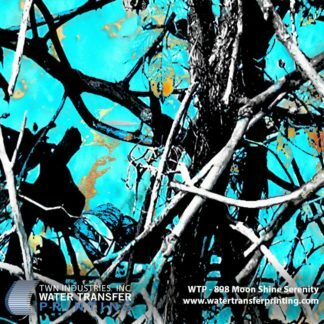 We also supply the full scale Kryptek® Banshee Water Transfer Printing Film.